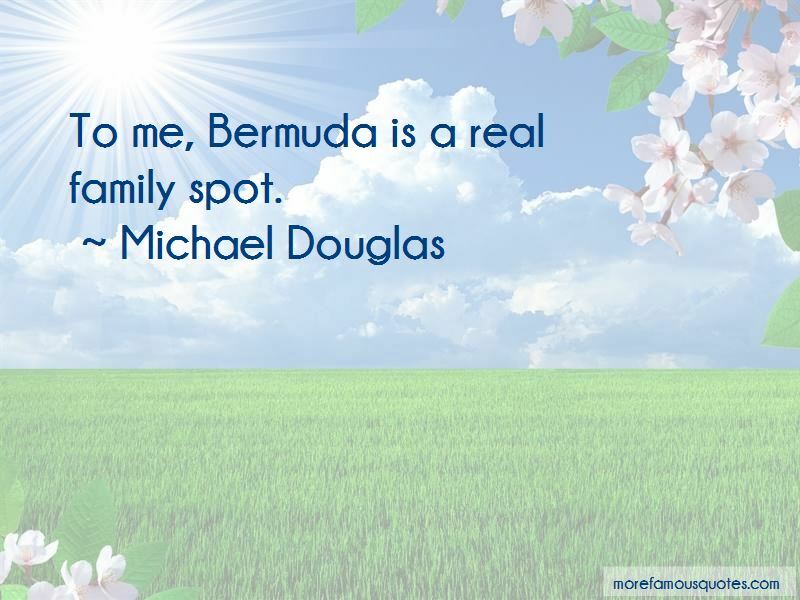 Enjoy the top 142 famous quotes, sayings and quotations by Michael Douglas. Lunch? You gotta be kidding. Lunch is for wimps. The quality of health care in Canada is excellent. I don't know if likeable, pleasant characters have enough conflict for me to want to do them. I admire those people, but I've never been that kind of screen presence who can do nothing. I need to do something. Actresses have more fear of being disliked. I, on the other hand, revel in it. My dad was a movie star. Having that name was good and bad. People think it's a silver spoon. It's not. My father did 90-plus films. He was Spartacus! I have hardly ever worked with the same director twice. But when you have worked with a director before, you understand his behavior. 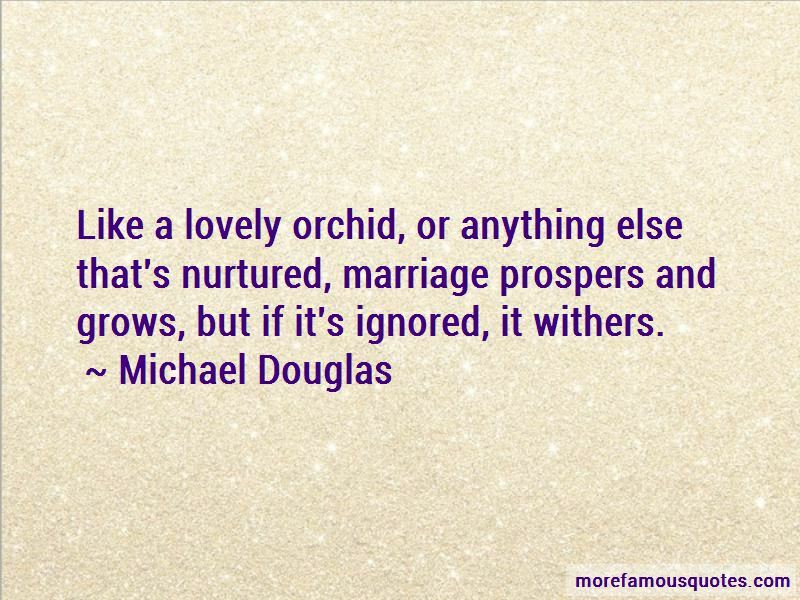 Like a lovely orchid, or anything else that's nurtured, marriage prospers and grows, but if it's ignored, it withers. The so-called 'last golden age,' in the 1970s, most of those movies were independent films. To me, Bermuda is a real family spot. When you are a celebrity, nothing remains secret for very long. 'King of California' was just, I thought, a really great, fresh, original kind of script. I loved the tone, the mix of tragedy, comedy, and drama, and that it was a good part. You have to make entertaining movies. But like a good meal, it's nice to have a little food for thought after you walk out of the theater rather than just wiling away a couple of hours. Want to see more pictures of Michael Douglas quotes? 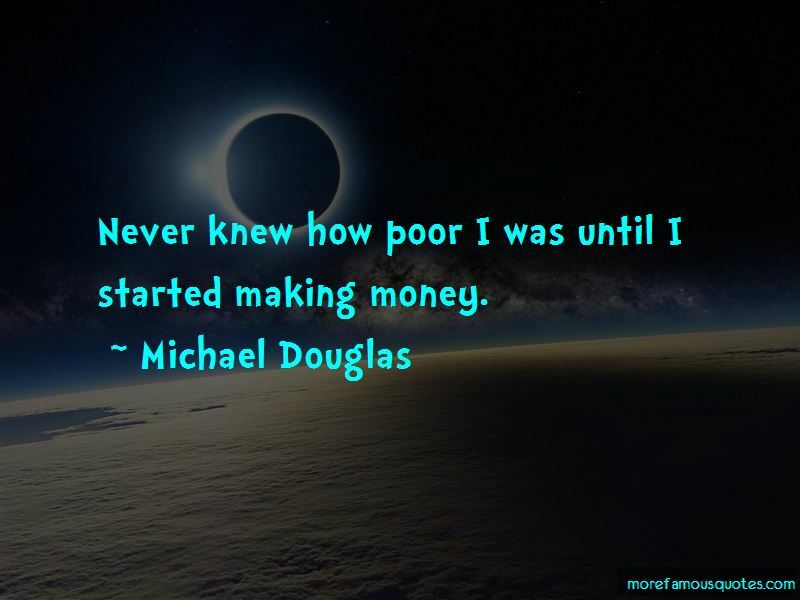 Click on image of Michael Douglas quotes to view full size.